Anything unrelated to elephants is irrelephant. : I really want pulled pork. I really want pulled pork. The past few days I was shadowing a volunteer who lives in Mokgomane which is about 3 hours south of gabs. Most of us went to different villages/towns to shadow, but I had another trainee with me, so there were three of us. The village is small with about 800 people. Her sector is life skills, so her primary assignment is to work in schools. After those few days, I am happy I am not life skills. I am not very good with kids and it doesn't seem very appealing to me. However, I did have a really fun time, and the kids were very excited to have us there! We decided it was probably the most white people they have seen at once. They just sit and stare at us, and often run away when you try to approach them, it's pretty entertaining. Her house was big, lacked furniture, no running water, but she had electricity! We find out our site on Thursday and everyone is freaking out about where they are going to be placed and praying it will be close to other volunteers. I have no idea where I will be placed, and I had no requests when they asked. I'd rather be rural than in a bigger city, it would be very hard to meet people and integrate into the community in a larger village. The south is cooler, but the north is better scenery-wise. I will make the best out of anywhere I get placed. I do hope I am placed in a clinic and not an office, we shall see. 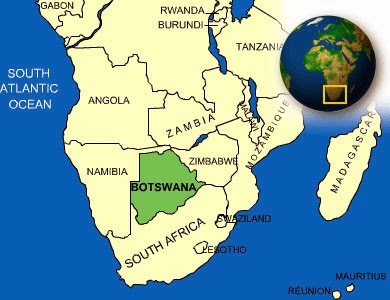 Today is exactly one month since entering botswana, and it feels like YEARS. We are only halfway done with training, which is crazy because I feel like we've already talked about so many things, I'm not sure what else they are going to try to throw at us. Sessions are very long, and usually boring. We even have homework......which I should probably start actually doing. It's not very motivating to do the homework when you know you aren't being graded and the last thing they want to do is kick you out of peacecorp after they have invested thousands of dollars in you already. I'll post on Thursday where I will be placed for the next two years! Also, I'm craving pulled pork and ice cream. And basically anything American.